Get a credit card in South Africa and get a financial lifestyle. 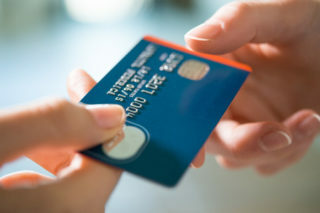 Getting a credit card is the best way on which to build a solid personal credit rating. So where can I get a credit card in South Africa? ABSA would be a great place to start. They are leaders in the market and have a solid reputation. ABSA credit scores rate you on how you manage your debt. Good credit history translates into high credit scores. A high credit score brings rewards which mean you save money in the long term. Your credit worthiness. The likelihood that you will default on repayments. Credit history. Do you pay your accounts on time? Small debt base. How deep in debt are you? Debit Orders. Having debit orders shows you are adept at money management. Platinum Credit Card. – An elite credit card package designed to meet individual financial and lifestyle needs. You must earn more than R25 000 a month. Gold Credit Card. Salary must be between R4 000 and R25 000 a month. Transact Credit Card. This is a first-time credit card. You must earn between R2 000 and R4 000 a month. Absa also offers a top-up facility for overdrafts, credit cards or revolving credit. (*Terms and conditions apply) ABSA Credit Protection Plan safeguards card holders and their families in the case of death or disability. Digital solutions such as the MasterPass App™ simplifies payments for goods or services and Absa’s Walletdoc app allows customers to pay bills online using either credit or debit cards.